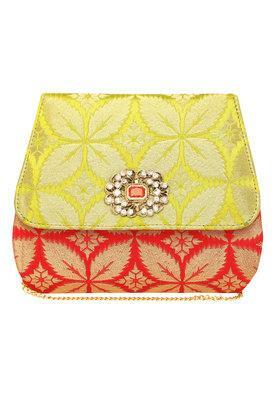 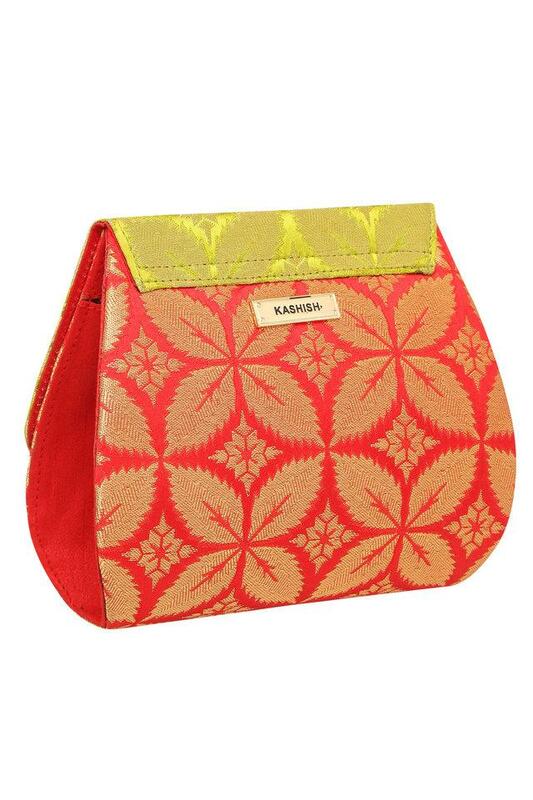 Designed for every fashionista, this sling clutch from Kashish will surely become your instant favourite. It comes with one main compartment and a snap closure, which will keep your essentials safe and organised. 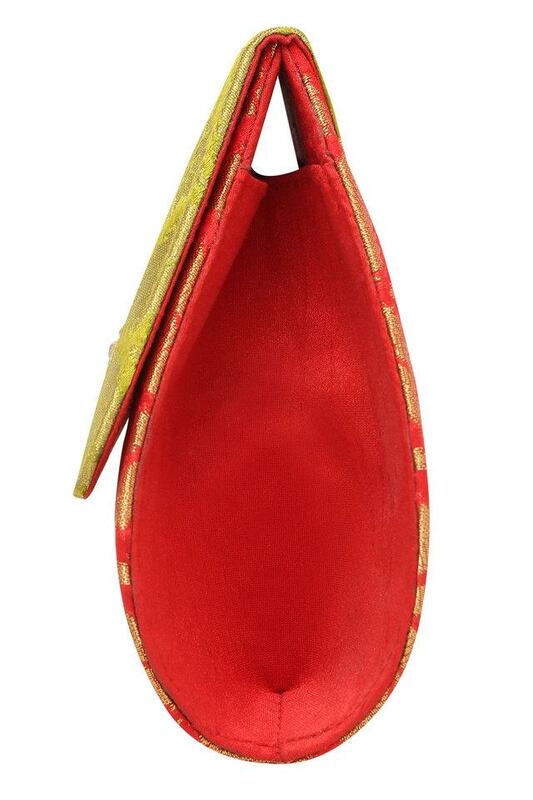 Besides, it comes with a long metallic strap that further gives it some edge. Featuring a unique design, this sling clutch will be your great companion while heading to a special occasion. 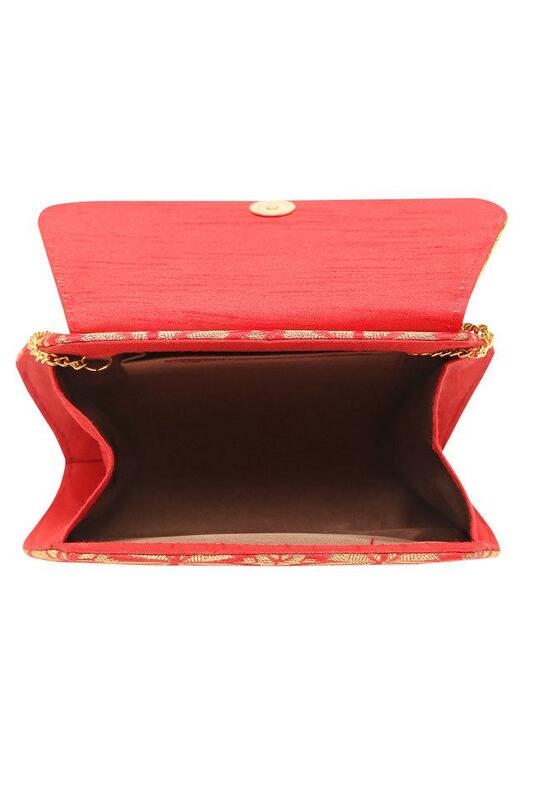 It has been made of synthetic material that lends it an elegant sheen.